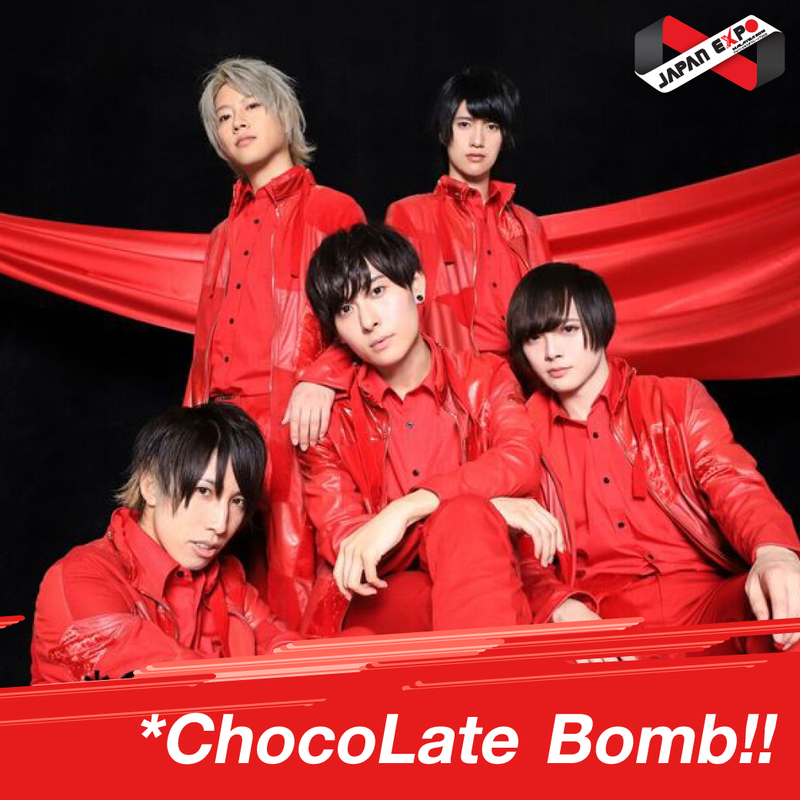 ChocoLate Bomb, also known as ちょこぼ (Chocobo) is a 5 member male odorite (dance cover) and idol group. The original members consist of E~suke, Panmen, Iripon, Takkun and Yujimaru. Iripon departed from the group in January of 2016 stating that he did not have the same passion as the others to become an idol. He would later be replaced with Reo/Leo who is a cosplayer.